The Church of the Holy Sepulchre[b] (Greek: Ναὸς τῆς Ἀναστάσεως Naos tes Anastaseos; Armenian: Սուրբ Հարության տաճար Surb Harut'yan tač̣ar; Latin: Ecclesia Sancti Sepulchri;[c] also called the Church of the Resurrection or Church of the Anastasis by Orthodox Christians) is a church in the Christian Quarter of the Old City of Jerusalem. 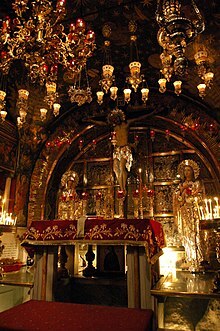 The church contains, according to traditions dating back to at least the fourth century, the two holiest sites in Christianity: the site where Jesus of Nazareth was crucified, at a place known as "Calvary" or "Golgotha", and Jesus' empty tomb, where he is said to have been buried and resurrected. The tomb is enclosed by a 19th-century shrine called the Aedicula. [d] The Status Quo, a 260-year-old understanding between religious communities, applies to the site. Today, the wider complex accumulated during the centuries around the Church of the Holy Sepulchre also serves as the headquarters of the Greek Orthodox Patriarch of Jerusalem, while control of the church itself is shared among several Christian denominations and secular entities in complicated arrangements essentially unchanged for over 160 years, and some for much longer. The main denominations sharing property over parts of the church are the Roman Catholic, Greek Orthodox and Armenian Apostolic, and to a lesser degree the Coptic Orthodox, Syriac Orthodox and Ethiopian Orthodox. On 18 October 1009, Fatimid caliph Al-Hakim bi-Amr Allah ordered the complete destruction of the church as part of a more general campaign against Christian places of worship in Palestine and Egypt. [e] The damage was extensive, with few parts of the early church remaining, and the roof of the rock-cut tomb damaged. Some partial repairs followed. Christian Europe reacted with shock and expulsions of Jews, serving as an impetus to later Crusades. The rotunda is located in the centre of the Anastasis, beneath the larger of the church's two domes. In the centre of the rotunda is a small chapel called the Kouvouklion in Greek[f] or the Aedicula in Latin,[d] which encloses the Holy Sepulchre. The Aedicule has two rooms, the first holding the Angel's Stone, which is believed to be a fragment of the large stone that sealed the tomb; the second is the tomb itself. Possibly due to the fact that pilgrims laid their hands on the tomb or to prevent eager pilgrims from removing bits of the original rock as souvenirs, a marble plaque was placed in the fourteenth century on the tomb to prevent further damage to the tomb. In February 2018, the church was closed following a tax dispute over 152 million euros of uncollected taxes on church properties. The city hall stressed that the Church of the Holy Sepulchre and all other churches are exempt from the taxes, with the changes only affecting establishments like "hotels, halls and businesses" owned by the churches. NPR had reported that the Greek Orthodox Church calls itself the second-largest landowner in Israel, after the Israeli government. The area immediately to the south and east of the sepulchre was a quarry and outside the city during the early first century as excavations under the Lutheran Church of the Redeemer across the street demonstrated. From the ninth century, the construction of churches inspired in the Anastasis was extended across Europe. One example is Santo Stefano in Bologna, Italy, an agglomeration of seven churches recreating shrines of Jerusalem. ^ Freeman-Grenville, G. S. P. (1987). "The Basilica of the Holy Sepulchre, Jerusalem: History and Future". The Journal of the Royal Asiatic Society of Great Britain and Ireland. 2: 187–207. JSTOR 25212148. ^ a b c McMahon, Arthur L. (1913). "Holy Sepulchre" . In Herbermann, Charles (ed.). Catholic Encyclopedia. New York: Robert Appleton Company. ^ MacCulloch, Diarmaid (24 September 2009). A History of Christianity: The First Three Thousand Years. Penguin Books Limited. p. 1339. ISBN 9780141957951. ^ Cohen, Raymond (May 2009). "The Church of the Holy Sepulchre: A Work in Progress". The Bible and Interpretation. Retrieved 19 September 2014. ^ LoLordo, Ann (28 June 1999). "Trouble in a holy place". The Baltimore Sun. Retrieved 19 September 2014. ^ "The Brotherhood of the Holy Sepulcher". Greek Orthodox Patriarchate of Jerusalem. Archived from the original on 24 May 2008. Retrieved 19 September 2014. ^ Kaitholil.com (28 December 2018). Inside the church of the holy sepulchre in Jerusalem. YouTube. Retrieved 28 December 2018. ^ Jeffery, George (1919). A Brief Description of the Holy Sepulchre Jerusalem and Other Christian Churches in the Holy City: With Some Account of the Medieval Copies of the Holy Sepulchre Surviving in Europe. Cambridge University Press. p. 69. Retrieved 19 September 2014. ^ "Catholic Chapel of the Apparition". See The Holy Land.net. Retrieved 18 April 2018. ^ "The Cross of Golgotha". Michael Hammers. 24 June 2014. Retrieved 19 September 2014. ^ Terry Trainor. "Bedlam. St. Mary of Bethlehem". p. 32. Retrieved 24 October 2018. ^ "Chapel of St. Helena". 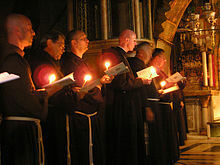 www.holysepulchre.custodia.org. Retrieved 3 February 2018. ^ Michael., Dumper,; E., Stanley, Bruce (1 January 2007). Cities of the Middle East and North Africa : a historical encyclopedia. ABC-CLIO. ISBN 9781576079195. OCLC 80014324. ^ Fisher-Ilan, Allyn (28 September 2004). "Punch-up at tomb of Jesus". The Guardian. London. Retrieved 19 September 2014. ^ El Deeb, Sarah (21 April 2008). "Christians brawl at Jesus' tomb". San Francisco Chronicle. Associated Press. Retrieved 19 September 2014. ^ O'Laughlin, Toni (10 November 2008). "The monks who keep coming to blows in Jerusalem". The Guardian. Retrieved 19 September 2014. ^ "Entrance to the holy sepulchre; title page, vol. 1". Library of Congress. 1842. Retrieved 19 September 2014. ^ Trainor, Terry (21 May 2012). Bedlam. St. Mary of Bethlehem. Lulu.com. pp. 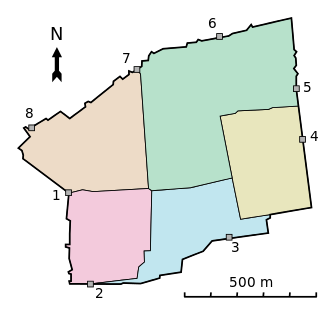 36–37. ISBN 9781471714283. Kaitholil.com (28 December 2018). Inside the church of the holy sepulchre in Jerusalem. YouTube. This page was last edited on 24 April 2019, at 03:31 (UTC).